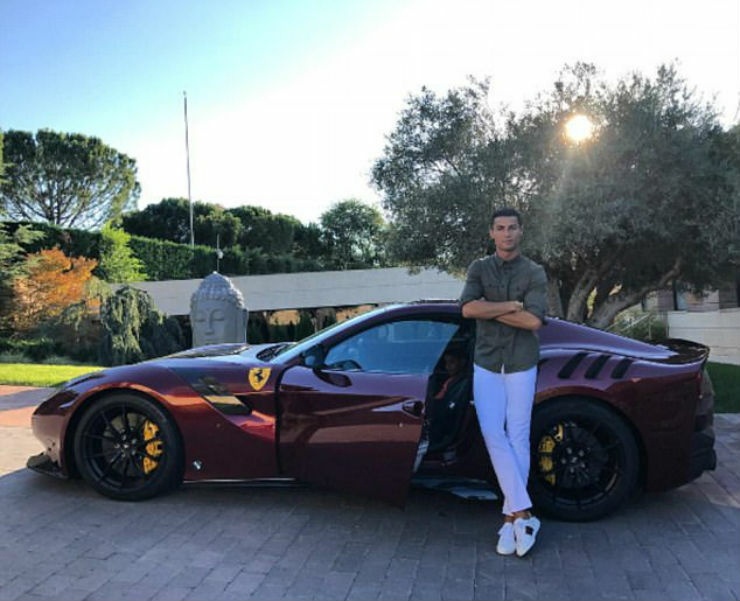 Cristiano Ronaldo, the football superstar is a car passionate person. Sometime back, we carried a story on all his supercars, that included the Veyron, the MC4-12C HS, the Aventador, a Mercedes S 65 AMG, a 911 Turbo S, a Rolls Royce Ghost, a Bentley Continental GT Speed, a Maserati Gran Cabrio, an Audi S8 and a Ferrari 599 GTO. While he also featured in the Chiron launch video, he hasn’t gotten one yet. What he has gotten is the all-new Ferrari F12 TDF. He has been spotted driving the car in Monaco and also took to Instagram to officially show off the new vehicle. The TDF, or Tour de France is a limited edition F12 to mark the model change. The F12 was replaced by the 812 Superfast and this was the last hoorah to bid farewell to the vehicle. The vehicle is powered by a 6.3 liter V12 making 769 Bhp, as opposed to 730 the stock car makes. This is courtesy the race-spec tappets and the variable geometry intake. Max power comes in at 8500 rpm while the car has a redline of 8900 rpm. According to Ferrari official figures, it manages a 0-100 time of 2.9 seconds. The vehicle now has an improved dual clutch gearbox which makes upshifts 30% faster and downshifts 40 % faster. The car has improved aero dynamics as well. At 200 kmph, the car now makes double the down force that the normal F12 makes. The underbody has been changed and the spoiler has been made bigger as well. There are only 799 TDFs that have been built, making it a rare piece. You also had to have a few of the current models in order to be eligible to get a TDF. The TDF name relates to the endurance race where Ferrari dominated in the 1950s and 1960s.